How bravery in marketing can lead the human moments in which great brands are forged. I often catch myself doing small brand reviews of commercial vehicles while in my own car; mostly small business whose truck graphics will be the most prominent billboard they will ever own. It is mostly as one would expect: a contractor whose logo is two tools crisscrossed, a logistics company which shows a long road narrowing in the distance. 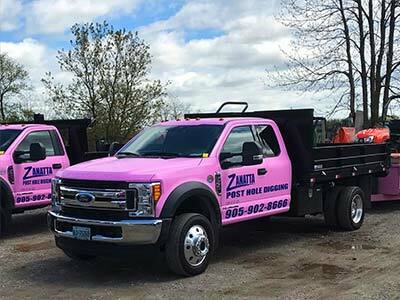 But tonight I came across an otherwise tough Ford F-250 painted pink with blue lettering. Even though I was in a rush, I took the time to read the side: Zanatta Posthole Digging. The temptation for most would be to mock the truck, but this fellow knows more about branding than 99.9% of entrepreneurs and professionals. He or she put their grown-up pants on, took a risk, stood out, and now creates memorable impressions everywhere they go. Today we talk to Nick Westergaard about those brands which take risks, do what makes sense on a human level, and create strong impressions in the process. Brands like Starbucks, Barkbox, Coldwell Banker, and more. Nick Westergaard is an educator, strategist, speaker, and two-time author. He works with companies of all sizes create strong brands as Chief Brand Strategist at Brand Driven Digital. He is a regular contributor to Harvard Business Review and has been published in Forbes, Entrepreneur.com, and many other places. He is the host of the podcast: On Brand. You can enjoy our conversation via the video directly below or the transcript further below. Video: BMB’s Colin Finkle talk to Nick Westergaard. 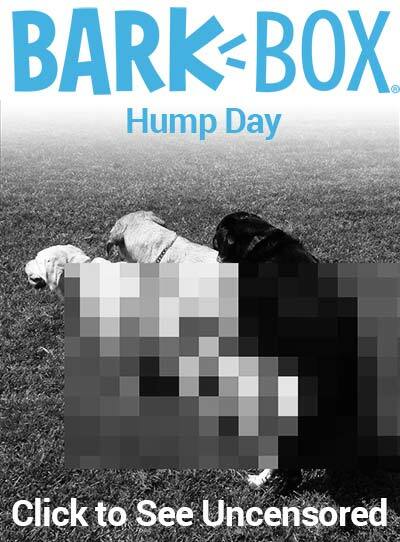 Text: Nick Westergaard and Colin Finkle talk about how the brand lives in the mind of the customer, how canine mating created customers for Bark Box (in more than 1 sense,) and Kirk vs. Picard. Colin Finkle: What does the term brand mean to you? Nick Westergaard: Well, it’s funny because I having a podcast about branding myself, I ask this question a lot. And I’ve compiled the answer, so I’m worried that my answer will be stolen from someone else. I’m a fan of the Jeff Bezos classic of “what people say when you’re not in the room.” The emotional aftertaste that you leave with someone. The brand is what is left behind the emotion that someone feels, as opposed to anything that we are broadcasting at someone automatically becoming the brand. It is what we’re left with as the audience. And that’s why it’s it’s so much more than just the 30-second ad. The brand is the customer service experience someone has in your store. It is the experience filling out the order form on your website. It is what your employees are wearing. There are so many different touchpoints that set off that brand experience and what you’re left with at the end of the day. United would love it if their brand were about “Flying the Friendly Skies,” but for most of us, the United brand is about dragging people off of flights and and and and killing dogs. Colin Finkle: I agree, but when you cruise a store with someone that’s not in the marketing industry, they think that we have perfect control of the brand using hidden messages or something. But the consumer has more power over the brand than the marketer because the brand lives in their heads. The brand is not something that can be perfectly conveyed through the communications, packaging or whatever. We don’t have mind control… yet. Nick Westergaard: I like that you tossed the “yet” in there. It adds that level of fright and big brother that so many think of marketing as. Colin Finkle: For people who don’t know Nick Westergaard, what brought you to branding? Nick Westergaard: What brought me to branding? I started in customer service for a small educational publishing company many, many years ago. It was a publishing company in the early internet days, so we were still sending out a lot of direct mail. I literally started in the mail room, because we would prep massive direct mail envelope with trifle types of pieces that were going out with a business reply card in them. So that was kind of my advanced direct marketing degree. And then, of course, as the internet came into being, all of that direct marketing became internet focused. We did direct marketing using the first e-commerce website for the company which I helped build. Through mastering and all these different channels, I came to realize that what’s behind it all. Despite all of these shifts, it is the brand behind the digital marketing megaphone. So that led me to the higher calling of chasing what’s below all of these tactics and going more strategic: brand marketing. Colin Finkle: What prompted you to write your book Brand Now… well… now? Nick Westergaard: Like right now, right now? 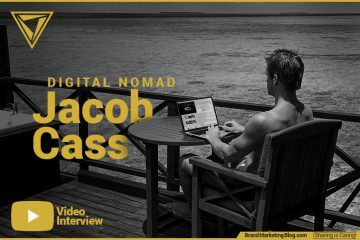 Well, when I wrote my first book, Get Scrappy: Smarter Digital Marketing for Businesses Big and Small, I talked about branding in the very first chapter because it’s important to understand your brand, who you are and what you stand for, before you can do more with less with these new digital marketing tools. But a funny thing happened. All the other chapters in Get Scrappy we’re very clear, concise and relatively short; that brand building chapter quickly bloated up to about two or three times as long as all of the other chapters. So I took a moment and set that big bloated chapter aside. This was my first inclination that I might have more to say on the topic of branding. I was also called upon to teach the branding courses for a semester here at the University of Iowa while colleague went on sabbatical. So that prompted me to take the framework of that chapter and to flesh it out. And that thinking became Brand Now. This book is all about how to build a standout brand in this crowded, distracted world that we find ourselves in. Colin Finkle: Well, it couldn’t be more timely because small to medium sized businesses have inexpensive tools to get their logos, websites, videos, tutorials all designed, written, produced. But then their brand lacks any meat or substance; there isn’t a meaning or strategy behind the work of a lot of small companies. What do you think? Nick Westergaard: A lot of the times, smaller brands grapple with: “oh, we don’t have all the resources that a larger brand has.” But smaller brands can exert more control over their brand. In my first job at the publishing company, I realized, while taking over different aspects of the brand with digital marketing, that we could easily exert control since we owned all of those touch points. It was a small entrepreneurial company, about thirty people at the time. And we could create a very unique brand experience. So that was an advantage we had that many small businesses have. They should leverage it. Colin Finkle: Yeah, you see the big companies with many brands, like Procter and Gamble, break it up into smaller brands that are of a manageable size. Nick Westergaard: Yeah, there’s definitely a scale advantage for large companies, but flipping that script and looking at what you can do when you can exert control over the things that those other big cumbersome companies might not be able to pivot quite as effectively with. Colin Finkle: So it’s natural for marketers and small business owners to target prospective customers. But you have five orbits to your brand solar system. Can you tell us about those? 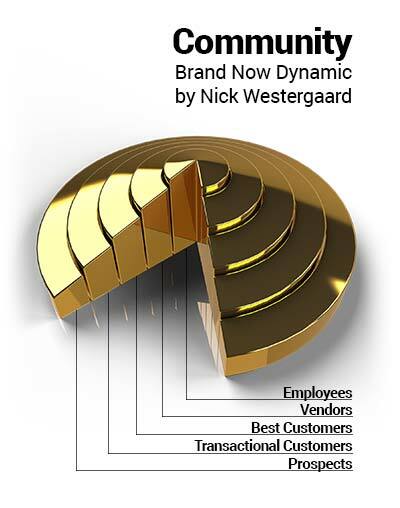 Nick Westergaard: Community is something that I talked about as one of the Brand Now dynamics with concentric circles. Concentric circles can be amazing tools for organizing your brand your brand’s community as well. And like any concentric circles, we start on the inside circle that represents your employees. How you can transform those employees into better, more effective brand ambassadors? That’s an important place to start because too often we jump all the way out to the outer circle: prospective customers. What your employees do and how they comport themselves is so important. Case in point: we just talked about United Airlines, where employees delivering service were a little questionable. Another example is from a brand that I love. This brand took a controversy and turned around into an opportunity for them to learn in the employee circle of their community; Starbucks recently came under fire for having two black men arrested. Instead of the traditional crisis response or trying to just advertise over it, they chose to embrace diversity and do something much harder. They’re shutting down their shops for a day to engage in training to help avoid issues like this. Taking care of the inner circle means making sure that your employees are living the brand in everything that they say and do. Whereas these brands seem to stay on their haunches and just say: “you know, there was no mistake here. It was just an unfortunate event.” We interact with brands in the same way we do with people, and if a person acted this way, we would assume this is going to happen again because the behavior is a result of who they are. Nick Westergaard: I agree with everything you just said. And honestly, I don’t know if Starbucks enjoys when people talk about what was a bad day for them so much, but I think the way they handled it is so commendable and it’s so easy to forget when all we talk about these train wrecks like United. So often it’s the real connection in that sort of response that I talk about Brand Now. In moments of crisis management, what we’re looking for is just a real human response and saying: “wow, we messed up we’re gonna try to do better.” You’re not even committing to anything yet, but that’s still scary for some. Colin Finkle: We are hard-wired to have relationships with people. And everything that makes branding work is because of that wiring. That’s why brands have personality. But then brands behave in ways you wouldn’t put up with if they were a person. It’s just unfortunate. But, opportunities emerge when everybody’s doing the same thing. So hats off to Starbucks for bucking the trend and taking a risk there. Sorry, I derailed you regarding a brand’s concentric circles of community. Nick Westergaard: Now before we jump to the outer circles. I also point out that there isn’t forgotten middle circle, the ones that help you deliver your service. Those are your strategic partners, vendors, other alliances you might have. A great example of this is IKEA. In states where IKEA doesn’t have a store, they have shipping partners. But those shipping partners are all trained on what IKEA calls “the IKEA way,” so they are able to deliver that service in a way that is consistent with the rest of the IKEA brand. So if we start on the inside with employees, we work out to our strategic partners and vendors, we will finally at the outer circle which is the customers. This is the circle we focus on but too often we think about our customers too homogeneously. First, the innermost circle is your best customers; how can you treat them differently? How can you bring them into the fold and make them better brand ambassadors? This is just like what we’re trying to do with our employees. In the next circle, we have our more transactional customers, and the outermost circle we have our prospects. I bring the prospects up at the very end, because too often those imaginary people, all the way on the outside, all the way out on the periphery, are the people that were thinking about first. 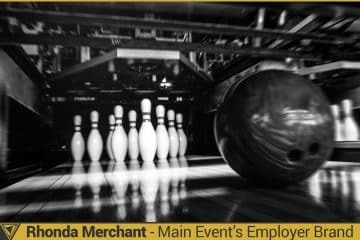 And we haven’t thought about any of the people that are in our business day in, day out: our employees, vendors and those best customers that we’re interacting with constantly. They’re a smaller group and sometimes it’s scary to think about that smaller group because it feels like an off sample that we shouldn’t be taking. Those are a great group to get your arms around and embrace as you think about your organization’s people power. 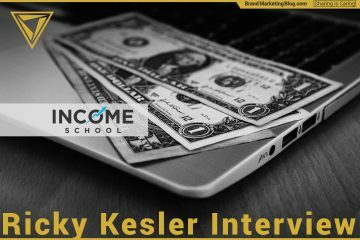 Colin Finkle: Well, it’s a powerful model because it can be a little daunting when you think of converting a cold prospect into your best customer. But it seems somehow easier to take someone from one circle and moving them into the core of your brand, closer to the commitment level that your employees and vendors hopefully have. That feels a lot more attainable. It seems to be easier to make a prospect into a transactional customer to make your transactional customers into your best customers. Nick Westergaard: Well yeah, anything sounds daunting when you look at it from point A to point Z. But if you think about A to B, to C, to D to all those different steps, it becomes something that feels much more doable. 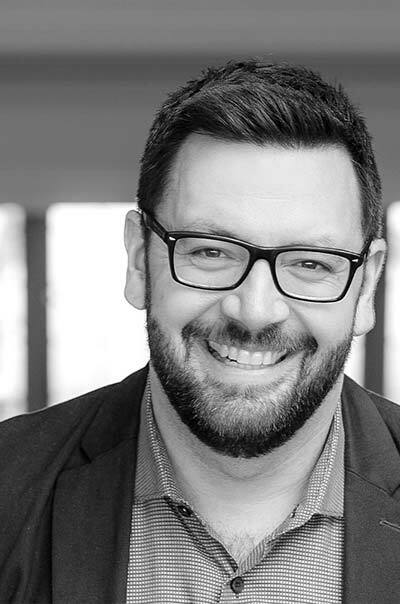 Colin Finkle: One of the most powerful things I have my clients do is take an inventory of their touch points, and they end up finding something that they may have missed or may have thought was unimportant, which actually can be quite a delightful piece of their brand. You have some examples of touch points the brands in your book have leveraged in fun and unique ways. Can you elaborate on some of those? Nick Westergaard: Sure. There are many different touch points, and it can be dangerous to get into kind of checklist land with all the different brand touch points. You need to think about: what are what touchpoints are most important for your brand? And that gets back to understanding who you are, what you stand for, what service you’re providing and what position in the hearts and minds of your customers you occupy. For example, Zappos is not just about selling shoes online. It is about providing an exceptional level of customer service. Their phone calls with their sales reps or customer service reps are legendary. They’ll stay on the phone with you while you’re putting something on, and talk through different colors, different things. But they also do the same thing via email. Customer service emails aren’t a marketing touch point people think about a great deal. When I had a sole on a pair of boots of mine start to peel off, I sent them an email because that’s the channel that was convenient for me. They got back this delightful email, which I include in the book because it was such a fun moment. It connected to Zappo’s good service. Most of the time, it is an awful experience when you have to return something to a company (that is not Zappos). A defective product is already an awful experience for you as a customer, but a lot of times they say “go find the box.” If it was a week ago, I have already broken down and recycled that box. Then they say “go print off this piece of paper, then cut out the return shipping label, then look for some tape to fix it to the shipping container, label the thing, and then go find a drop box.” And hopefully, it’s a big enough UPS drop box to be able to fit the shoe box back into. So there’s all this work. In contrast, Zappos lead off with: “hey, you’ve been through enough, just keep the defective merchandise.” So that’s a great win, but then they add on there: “feel free to keep it, donate it or turn it into an art project.” And that is maybe not the most hilarious joke in the world, but it made me laugh at the moment. It brought a smile to my face because I thought: not only did they turn this into a great customer service experience, they also brought a smile to my face. So hats off to Zappos and that interesting touch point that was a simple customer service email. Colin Finkle: Reading through your book, I enjoyed going through all the case studies. I’m happy when I see case studies and books because it gets us out of the theoretical and into what actually what actually is working in the real world. Nick Westergaard: That was that was definitely a theme that popped up. There is a story I share about Bark Box. They had some fun in selling dog toys and appealing to dog owners, or as Bark Box call them: “dog parents,” which is an important part of their brand DNA. Most social media calendars have “Throwback Thursdays.” They thought about “Hump Day” in the context of the workplace means one thing, but if your business is dogs, then “Hump Day” might inspire something more… creatively visual. It’s one of those leap-of-faith moments. Some people might be listening to that and think: “oh, my gosh, that sounds like a horrible idea. All the more reason not to do it.” But you can find a standout moment by taking a chance like that. 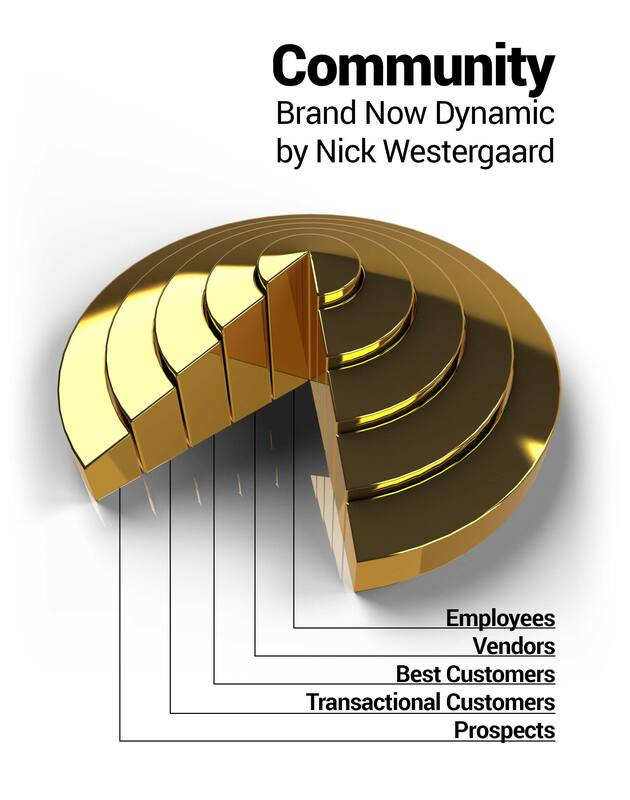 Nick Westergaard: Yeah, I love their brand storybook, where they share that story with every employee on day one. It’s another good example of the creative choices we’ve talked about; zigging when others are zagging. In the wake of the earthquake, everybody in real estate was acting pretty shady in San Francisco. And that would have been the easier thing for Coldwell Banker to do; it’s what everybody else is doing. It would have been the faster buck to make, but they decided to do something different. And I think that’s why we’re sitting here today, a hundred years later, talking about Coldwell Banker. They still exist while those other shady firm’s didn’t survive. 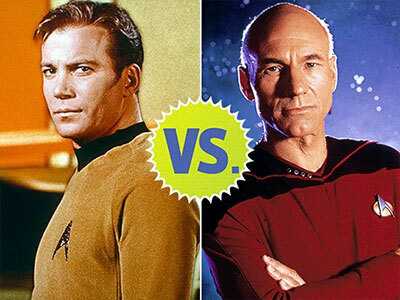 Colin Finkle: Okay, speaking of brands that people are passionate about, who is your ultimate Star Trek Enterprise captain? Kirk and Picard are so wonderful because we want to be like both of them. We both want to be like Kirk some days, and we want to be like Picard other days. We want to charge ahead and be the one that gets into the fight and makes the bold decisions, like Kirk. And, we also like being the thinker, too, like Picard. The original series is my favorite for the most part. It is so great because, though there was a bigger crew, it was really a show about Kirk, Spock, and McCoy. And I think that those three personalities, we’ve all got rattling around up here. I was a psych major, so I probably overthought who was the Id, Ego and Super-ego. Colin Finkle: I like your little hedge by naming both captains. The correct answer is Picard, by the way. Well, the correct answer for me. I know there are plenty of people with different opinions in the world, and those people are free to be wrong. Nick Westergaard: Well, I I could have gone with my with my pivot, asked about first officers, but that’s tough as well because I don’t know if I could decide between Spock and Riker. Riker is my celebrity doppelganger, so. Nick Westergaard: I wish. I’m just in branding and marketing. It is always helpful in getting you from point A to point B. It is also a useful way to think about branding. A lot of us think about branding as a discrete task. We take part in it, it’s done, we move on to the next thing, we figure out Snapchat, or podcasting or something else. But branding is really like a flag that we plant off in the distance that we are always striving towards. Asking yourself “where am I now” is key because you know if you’re on-brand or off-brand, and if you are off-brand, you also know what direction you need to move towards as well. Colin Finkle: So if people want to discuss the book with you, or stay in touch, where can they reach out? Where can they follow you? Nick Westergaard: I am Nick Westergaard, and that’s Westergaard with two A’s on most social networks.